If I could bring back some of my favorite late musicians of the past and have a collective Pow Wow the list would include (in no particular order): Michael Jackson, Jimi Hendrix, Janis Joplin, Marvin Gaye, Lena Horne, Jeff Buckley, Bob Marley, Eartha Kitt, Nancy Sinatra, Ray Charles, John Lennon, Tupac, James Brown, Miles Davis, Kurt Cobain, Jim Morrison (The Doors). 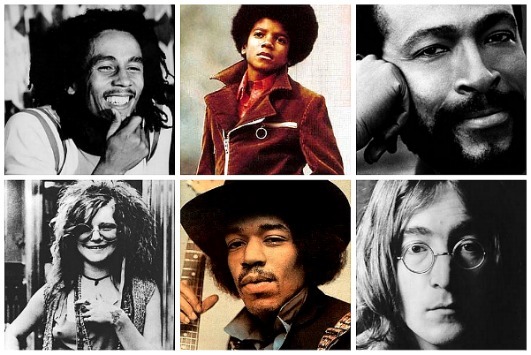 What musicians would you resurrect? Aaliyah! Michael Jackson, James Brown, Cab Calloway, Eartha Kitt, Celia Cruz, Billie Holiday, Mozart, Tina Marie, Minnie Riperton, sammy davis jr., Nat King Cole…I think that’s it for now. Aaliyah was my girl, too! I wish she was still here! Bob and Kurt, because I would make sure to see them live in concert! Everyone in that picture sounds good to me! I’ve always wanted to see Bob Marley live in concert! Whew, girllll….nice taste in music!! The list is so right on, I can’t pick just one! Thank you :DDD Ditto, I couldn’t keep the list at just a few, lol. Marvin Gaye!!!!!! I love soul music!! Aaaaaah You put Janis up there! I have been in love with her music since I was 12. She is like my favorite musician. 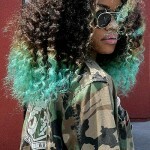 I read the the 70s were your favorite era and as this is a blog which somewhat caters toward natural hair. I wouldn’t have expected to see her on here. I never know what to expect when I come to your site. Keep it up ladies. Such a compliment, thank you :DDD I can’t say enough about Janis, that voice is incomparable!!! Hopefully we can keep surprising you! Michael Jackson for sure! In fact, I’d like to build a time machine and go back to 87′/88′ and see him on the Bad Tour. I would so resurrect Peter Tosh. Peter Tosh, definitely a good one! Bob Marley of course!! I am in love with this man! !